Can you spot the early signs of take-all root rot disease (TARR)? This fungal disease can often be difficult to diagnose in early stages because it can look similar to chlorosis, which is a yellowing of leaves due to nutrient deficiencies. However, chlorosis tends to be more uniform. If you see irregular spots of yellowing showing up in your St. Augustine lawn, especially if you see the roots darkening, you should have it inspected immediately for TARR. When daytime temperatures and humidity are high, this serious fungal disease can infect your lawn, especially if you’ve been watering improperly. Frequent shallow watering is a big cause of TARR, especially in compacted soils. 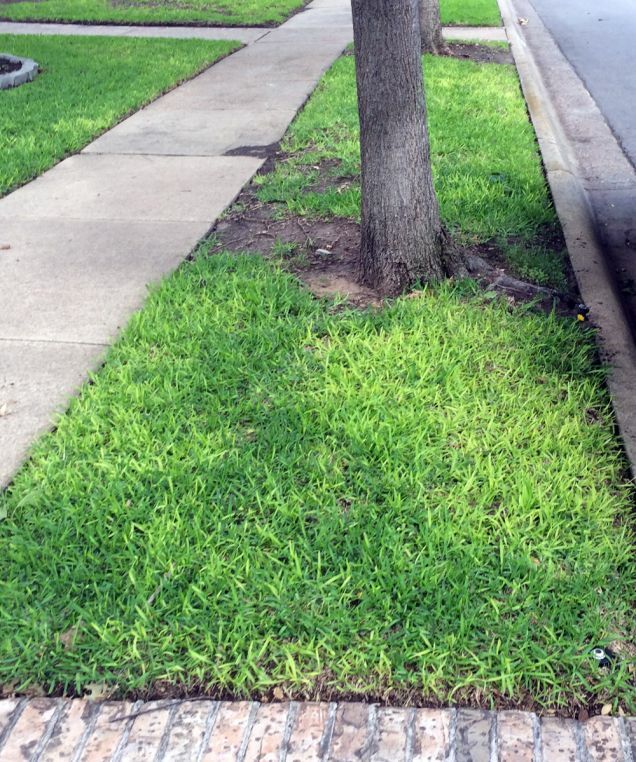 Lawnmowers and other maintenance equipment spread the disease from lawn to lawn. Soil aeration, organic compost application, bio-fungicides and reducing irrigation water are the best natural ways to control this disease.